Explain: "Man can embody truth but he cannot know it" (qtd. 2468). Why is the speaker going to Innisfree? What does Innisfree represent? What is the subject of this poem? 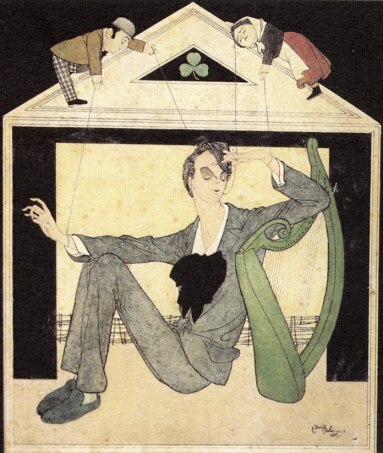 What mythological story is Yeats portraying in this poem? What is Yeats's overall message in this poem? Describe Yeats's ideas of poetry during the early stages of his career. Describe the influence of Nietzsche's thought on Yeats. What "contending aspects of himself" does Yeats mediate between? In what ways is Yeats similar to T. S. Eliot and Ezra Pound? Explain: "The ceremony of innocence is drowned" (6).